One of the most auspicious times of the year, Diwali brings with it reunions and smiling curves on faces. With no time to waste, people are already in a fix as to what new and unique can be gifted this Diwali on November 13. 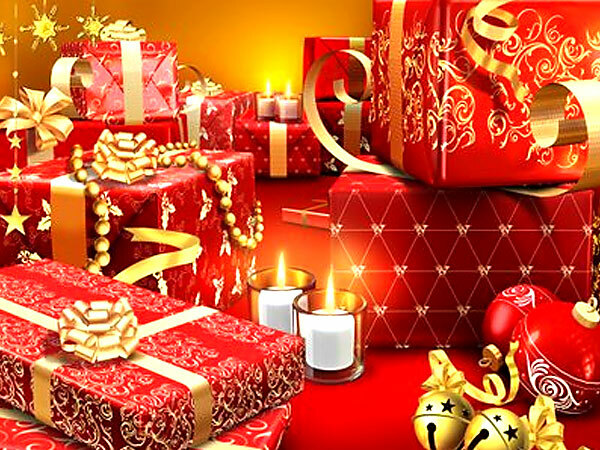 Solving all these concerns, we present to you the top 10 ideas to gift/shop this Diwali. Diwali signifies the entry of Goddess Lakshmi bringing wealth and prosperity. People decorate and renovate their houses with new paint, furniture, antiques and other home decor items. To save on time, these items can be bought easily through online portals. Jabong and Goodlife can be searched to get home decor products online. Dhanteras– falling a day before Diwali marks the importance of gold and silver in bringing prosperity. Top jewellery brands have opened their online platforms to ease shopping pleasure. Their optimum utilisation can be done during Diwali period to shop for jewellery online. Popular names are JewelKart, Pepperfry and Indiarush. Close to home decor, another category most shopped for during Diwali is appliances and mobiles. Because of various deals and exchange offers in this category, people wait for an entire year to purchase these items on Diwali. Yebhi and Flipkart are offering special Diwali offers. This category has picked up in recent years after the arrival of apparel and lifestyle stores on internet. Apparels for all occasions and people are available on Diwali and they can be bought online without any hassle. Quality pictures, reasonable prices and latest fashion make this category worth shopping this Diwali. Visit Myntra and Buyatbrands to get trendy this season. An all-time favourite Diwali Gift- Chocolates of all varieties, types and flavours are available online. This Diwali too, chocolates can be an apt gift. Just like chocolates, dry fruits are also an evergreen Diwali gift. Even for personal consumption, dry fruits can be shopped online as they come in different designs and gift hampers. The soul of Diwali, now available online, save a lot of time, effort and money. Combo packs of crackers and candles will make your Diwali happening. Satiate your taste buds with exotic flavours and varieties of sweets. Diwali festivities cannot be completed without sweets. With online portals now, sweets can be ordered with a click only. Shopclues is the primary one offering 10% off. Flowers can be used to decorate houses, make Rangoli or even gift to our loved ones. As a token of love, flowers can never be replaced as a Diwali gift. At Ferns N Petals, exciting Diwali deals can be availed on gift hampers, flowers, chocolates and other items. Though complimentary, greeting cards convey your message and affection. They can be matched with any item to show how much you care. This Diwali, go for handmade cards.